ISIS quickly claimed responsibility for an explosion in the city of Manbij in northern Syria, saying through its news agency that a suicide bomber targeted American soldiers on a routine patrol. The spokesperson for Operation Inherent Resolve, the American-led coalition against ISIS, confirmed that American service members were killed in the blast, but did not specify how many. Media reports indicate that at least three or four troops died. It is unclear how many Syrian civilians or allied forces were also killed. It is probably not a coincidence that the attack occurred just weeks after President Donald Trump announced his decision to withdraw American troops from Syria. When announcing the withdrawal, Trump said the U.S. had defeated ISIS in Syria, "[his] only reason for being there." The bombing is a sober reminder that ISIS is not defeated and remains a threat. It is doubtful that the U.S., or anyone else, knows the exact number of ISIS fighters in Iraq and Syria, but no public estimate is close to zero. In August, the United Nations released a report saying that ISIS still had up to 20,000 to 30,000 fighters in Iraq and Syria and "hundreds of millions" of dollars to use. If those figures were true, that would mean that ISIS suffered no appreciable net loss of fighters since August 2014, when then-President Barack Obama first ordered airstrikes against the terrorist group. The month after airstrikes began, the CIA assessed that ISIS had between 20,000 and 31,500 members across Iraq and Syria. On Dec. 19, the day of Trump's announcement, a spokesman for Operation Inherent Resolve estimated that ISIS still had 2,000 to 2,500 fighters just in Hajin, the group's final territorial stronghold in Syria. 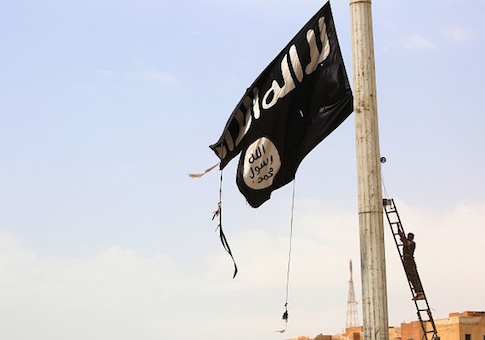 Many of ISIS' top leaders and important middle-ranked men presumably remain alive. Moreover, ISIS has, from the last week of July through mid-December, claimed 1,922 operations around the world, according to Thomas Joscelyn. Nearly half of those operations, 946, occurred in Iraq, while another 599 occurred in Syria. Many of the group's so-called provinces also carried out these operations, especially in Afghanistan and Pakistan and in Sinai. According to another tally by Michael Knights, ISIS launched 1,271 attacks in just Iraq in the first 10 months of 2018, including 135 attempted mass-casualty attacks. Additionally, the group attempted to "overrun 120 Iraqi security force checkpoints or outposts and executed 148 precise killings of specifically targeted individuals such as village mukhtars, tribal heads, district council members, or security force leaders." These actions are all part of ISIS' new strategy, which involves returning to a full-blown insurgency. It is true that the group's so-called caliphate, its physical contiguous proto-state in Iraq and Syria, has collapsed. The American-led coalition has battered the terrorist group and forced its members to go underground. But ISIS has been planning for this outcome since as early as May 2016. As Hassan Hassan described in a recent report, ISIS' "post-caliphate strategy is to target Sunnis that collaborate with government forces or other insurgent groups using hit-and-run tactics and targeted assassinations, using as its base desert areas … The group will continue to model its [strategy] on what it is convinced worked the last time it was driven underground in 2008-09, [after the American surge in Iraq]." Policymakers in Washington should also not forget that ISIS still seeks to attack Western targets. On Monday, for example, the group's propaganda arm disseminated a new propaganda poster showing the ISIS flag flying atop London's Big Ben landmark. Most leaders in Washington and the American people seem to recognize the need to combat ISIS, even if they do not have an appetite for any further military engagements in the Middle East. The United States must continue to lead a global coalition to fight ISIS, to ensure its sustained defeat. That goal, articulated by every relevant top member of the Trump administration, has not yet been achieved. The chief problem with Washington's military actions in the broader Middle East in recent years has not been overreach, but rather a lack of commitment. Too often the U.S. signals a desire to leave before the enemy has accepted defeat. Such rhetoric and actions embolden terrorist groups and other enemies to endure, no matter the cost, because, in the end, they can outlast the Americans. To prevent fights from dragging on indefinitely, the U.S. needs to signal that, counterintuitively, it is willing to fight indefinitely. The cold truth is that the fight against ISIS and other jihadist groups is multi-generational. There is no clear end date, and when one group disappears, another one will be ready to take its place. This war on terror—to resurrect an old phrase—requires consistent vigilance. There is no need for massive numbers of American troops to be deployed. But there is a need for a small number of them, to lead allies in a fight that we cannot afford to lose. This entry was posted in National Security and tagged Iraq, ISIS, Islamic State, Military, Syria, Terrorism. Bookmark the permalink.